Player Selection & Team Formation. 1. 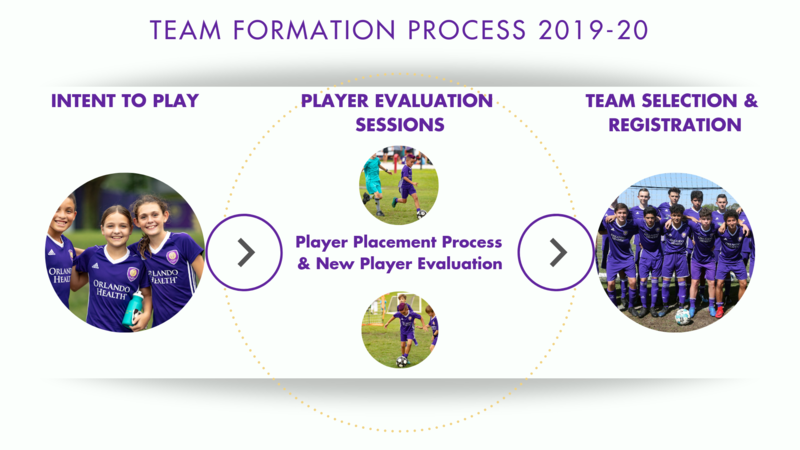 The Intent to Play process states your intent to be placed on an Orlando City Youth Soccer team. It includes registration for the Player Evaluation Sessions, the 2019-20 documentation required and collecting your player identification number from the main office. Receive idenfification number for Player Evaluation sessions from the Office at Seminole Soccer Complex. Once you have stated your Intent to Play you are clear to join the Player Evaluation Sessions in May but before this we want to explain what we mean by the Evaluation Process. When are the Player Evaluation Sessions?